Every day should be a good hair day. We love great hair and great people. 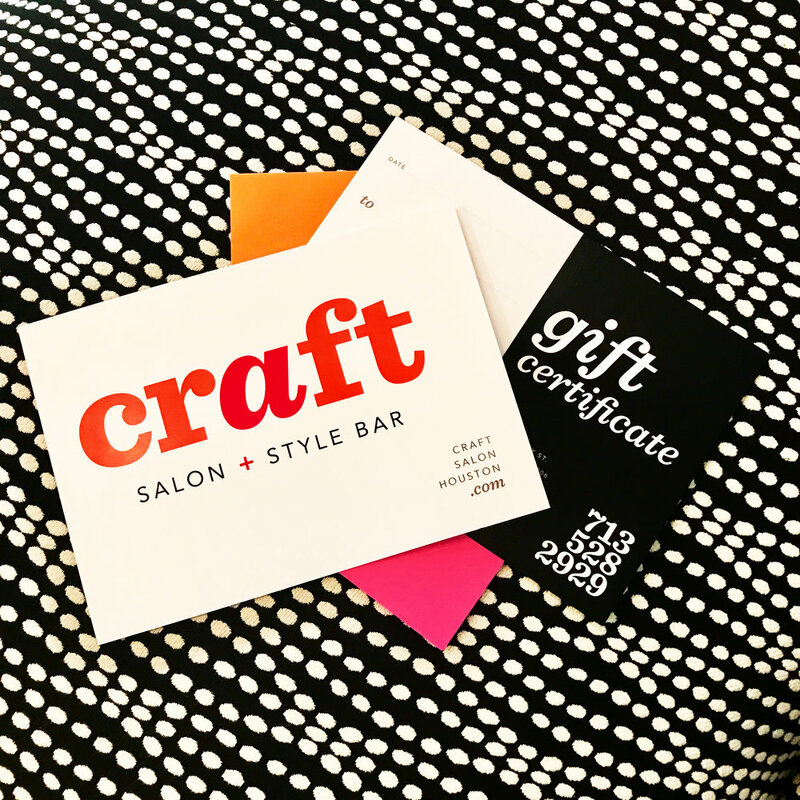 Located in the heart of Montrose, Craft is an upscale, modern salon with a friendly attitude. Our talented stylists can go from classic to cutting edge and our blow out game is strong if you need a style pop in your day. Give us a call at 713-528-2929 or book online to get hair that really works for your lifestyle and makes you feel good — every day. Our product lines are made from the most advanced technology available to nourish the health of your hair and help keep your style looking great. Products include Living Proof, Kevin Murphy and Brazilian Blowout. Our hair color by Aloxxi features a botanical base that enriches the hair, delivering superior gray coverage and vibrant, long-lasting color. We are a full service salon offering a wide range of cut, color and style services including extensions, straightening, deep conditioning, perms and wedding or special event hairstyles. Ask about our Express Color with Aloxxi's Andiamo that processes in a fraction of the time but still gives you luxe color with rich depth and full gray coverage. Natural ingredients provide conditioning, shine and manageability. Give the gift of glam! We make it easy to pamper your friends and family on any holiday or special occasion, as a way to say thank you or just anytime at all. Gift certificates are available in any amount and are redeemable for products and services. Craft is located at 2307 Dunlavy St. just north of Fairview St. in Montrose. Parking is available on Dunlavy as well as in a large parking lot behind the building with an entrance on Fairview just east of Dunlavy. 2307 Dunlavy St. Houston, TX 77006 / 713-528-2929 / Call us. Let's talk about your hair.